Common Issues and steps to resolve them. Tips for maximizing Windows 10 experiences. Tips for maximizing Age of Empires: Definitive Edition experiences. I can’t Download/Install/Launch the game! Some users are having trouble downloading or installing Age of Empires DE, or having the app crash immediately upon either launching the app or beginning a game. If you’re seeing any of these issues, please refer to your specific issue below and follow the listed steps. If the listed steps don’t work, refer to the instructions below to report your issue to us for further investigation. The app won’t download, or won’t install after downloading. Restart the Microsoft Store app. If you can’t download or install, this is the first thing to try. If the download stops partway through, you may need to restart the app again. Ensure that your system meets the minimum requirements to run the game, including your version of Windows 10. Update Windows 10 if necessary. Instructions can be found here. Windows Insiders: Some users on pre-release or Insider versions of Windows may experience issues with Age of Empires DE. We are looking into resolutions for this and will update when we have a recommendation. If you preordered the game, check that your purchase was not refunded. Some users who preordered Age of Empires: Definitive Edition had their preorders cancelled and refunded as part of an issue resolution in late 2017. If you preordered the game, check that the preorder is still in effect! Select “Sign in” in the top righthand corner and complete sign in with the account you’d like to view. Click on the profile that now appears in the top righthand corner and select “Order History”. Change the “From” date to “Past year”. You may also need to filter by “Show Returned/Refunded” if you’ve purchased a large number of offers within the last year. If your preorder was refunded, you must re-purchase the game before you’re able to play. In many cases, the process of installing a different app from the Microsoft Store may resolve the underlying issues preventing Age of Empires DE from launching. This helps many users who are seeing the 0x803F8001 error. Install any free app from the Microsoft Store. Open the Microsoft Store app, and click on the profile picture in the top right corner. If you have multiple accounts signed in, sign out of all accounts except the email account linked to the purchase of Age of Empires: Definitive Edition. Next, in the Microsoft Store download and install any free app (such as Age of Empires Castle Siege or Microsoft Ultimate Word Games). Once installation is complete, navigate to the Microsoft Store “Library” page and launch Age of Empires: Definitive Edition. The app crashes soon after launch, or when trying to start a game. A significant number of crashes at launch are due to the game being launched on a PC that does not meet the minimum system requirements. Ensure that your system meets the minimum requirements to run the game, including your version of Windows 10. Many crashes have been traced to outdated display drivers. Update your drivers to the latest version. You can find updates here. Some antivirus programs may prevent the game from launching. Check your antivirus settings to make sure Age of Empires: Definitive Edition is not being blocked. Avast: Age of Empires DE must be added to the program’s whitelist. Comodo: disable shellcode injection detection. F-secure: Age of Empires DE must be added to the program’s whitelist. Trend Micro: follow the steps listed here. Switch from a local account to a Microsoft account. Some users have been able to avoid problems by logging in to their device using a Microsoft account. If you are on a local account on your device, try switching to a MS account as workaround. You can add your Microsoft account as an additional account through Windows Start -> Settings -> Accounts -> Family and Other People. Add it as a standard user, and make sure you verify your account after signing in for the first time on your device. To do this go to Windows Start -> Settings -> Accounts -> Your info and follow the verification procedure. Now enter the store and download the game. Uninstall and reinstall Age of Empires: Definitive Edition. If you were able to install, but are having trouble with crashes, please reinstall the app using these instructions. This has solved the issue for many affected users, particularly those experiencing issues after having pre-ordered the game. Change to the English (US) keyboard layout on Windows 10 and install the English (US) pack. Adding the English (US) keyboard layout has resolved issues for users in some areas. You can find instructions here. If this doesn’t solve your problem, install the English (US) pack by following the instructions here. Instructions for the troubleshooter can be found here. Type “Apps & Features” into the Search Bar and select it. Locate and select Age of Empires: Definitive Edition, then select Advanced Options. If the issue persists after the above solutions, we need more information to be able to help. Please see below under “None of this worked/My question isn’t answered here!” and follow the steps listed there. I can launch the game, but I just see “You must sign in to continue” or “Can’t sync with Xbox Live” on the title screen. Sign in to your Xbox Live account via the Xbox app. Download and install the Xbox app from the Microsoft Store. Sign out of all other Microsoft accounts. Log in to the Xbox app using your Xbox Live credentials. If you don’t have a free Xbox live account, you can create one at account.xbox.com. Make sure to link your new Xbox Live account to the Microsoft account you used to purchase Age of Empires DE. Launch Age of Empires Definitive Edition. If your issue continues, check your firewall software (if you have any). Ensure that ports 3478 and 5222 (UDP & TCP) are open and forwarded, then repeat the steps above. Type this sfc /scannowand hit Enter. Look for answers on the Xbox for Windows 10 support page. If you are experiencing issues related to your Xbox Live account or Windows 10, please visit the Xbox on Windows 10 support page. I have issues when minimizing the game! Make sure that you have allowed apps to run in the background. To do this, search for “Background Apps” in your Windows 10 Settings. Ensure that “Let apps run in the background” is On, and that Age of Empires: Definitive Edition is On. The game keeps reading aloud everything I do! In some rare instances, the Accessibility options are enabled by default when starting the game. But don’t worry, it’s easy to fix! From the main screen, go to Options -> Settings and un-check the three boxes under Accessibility, and click the OK button to save your settings. I can’t click the Multiplayer button! Make sure you’re signed in only on this machine. If you have signed in to any other PC’s with the same account lately, ensure you’ve signed out everywhere else. Launch the Xbox App prior to launching the game, and ensure that your profile signs into Xbox Live without issue. If you can’t sign in to Xbox Live, contact Xbox Live support. Why can’t I play Age of Empires: Definitive Edition offline? You can! Just follow the steps from the link below and you should be all set to go! My game keeps lagging or crashing during gameplay! Check system requirements: Ensure that your system meets the minimum requirements to run the game. Close Background Apps: If your system does meet minimum requirements, you may have too many apps running in the background. 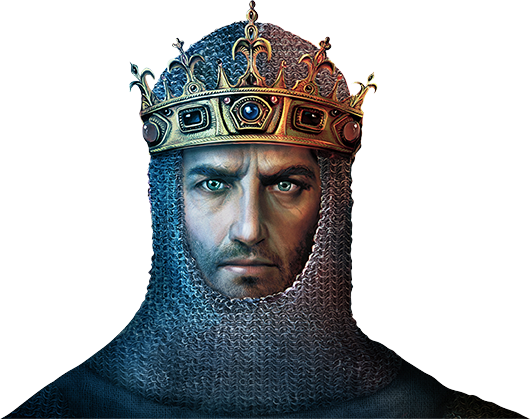 Close all other apps before launching Age of Empires DE to ensure your system can successfully run the game. Reduce the population cap: High-population games can cause performance issues on some machines. Try a game at the default population cap of 50; if that runs smoothly, you may experiment with higher numbers. Reduce the number of players in your game: Games with a higher number of players naturally have a higher population, and each human player you add contributes lag to the P2P connection. Try a 1v1 game against an AI, then gradually increase the number of AI and/or human players until you get a sense for what your PC/internet connection can handle. Set your region when creating a multiplayer lobby. Distance might make the heart grow fonder, but it doesn’t do great things for your P2P connections! Remember to check the colored bars in your multiplayer lobby to see who’s having trouble connecting with other players, and have the host click “run as a dedicated server” if everyone has a good connection to the host but not to each other. None of this worked/My question isn’t answered here! Report your issue on the Windows Feedback Hub (or upvote if the issue has been reported already). If you have an error code or bug description, type it into the “search feedback” box to see if the problem already exists/is known. If the problem IS known, we’re already working on it! Click on the UPVOTE button; this helps us figure out how many people are having the same problem. If the problem is NOT known, click on “Add new feedback”, and fill out the requested information accordingly. When filing feedback please place the game title within the “Summarize your issue” field, and steps to reproduce the issue under the “Give us more details” field. This will assist us in locating your feedback. Thank you for taking the time to help improve Age of Empires DE for everyone. To get the most out of your Windows 10 experience, ensure your Windows 10 machine is up to date and your Xbox Live account is ready for use. This helps you get the best performance while playing Age of Empires: Definitive Edition. Visit Use Game Mode while gaming on your PC for more info. Make sure you are signed into your Windows 10 device with the account you want to purchase the game with. To check this, launch the Store app and select the photo icon at the top-right corner. If this isn’t your account, you’ll need to sign out and sign in with the correct account. Within the Store app, search for Age of Empires: Definitive Edition. Alternatively, you can go to this page. Make sure that you’re signed in with the correct account before continuing. Select the Buy button and follow the steps to complete your purchase. Press the Windows button and enter Xbox. Sign in with the same account you use to play Xbox. Visit Benefits of running the Xbox app while playing a game on Windows 10 for more info. For more help & support while playing games on Windows 10, visit the Xbox on Windows 10 support page. Before starting Age of Empires: Definitive Edition, close out all other applications. This will help ensure the best experience for Age of Empires: Definitive Edition. Make sure your internet is prepared for a multiplayer experience. Your PC will be communicating with several others throughout the world so ensure that you have your networking arranged to maximize your access to the internet. These steps will help you minimize your network lag and help your multiplayer experience. There is also the option of “Host as Dedicated Server” in the in-game multiplayer options that will help minimize issues if you encounter them. Right-click on exhausted farms to reseed them! Hold A while right-clicking to make your selected units attack-move! Use the Idle Villagers button to keep your villagers working and your economy booming! Green indicates a strong connection. Yellow indicates an adequate connection. Red indicates a connection which may negatively impact gameplay. If all users have good connections to the host but not great connections with each other, the host has the option to run as a dedicate server by checking the “Host as Dedicated Server” checkbox. Note that if this box is checked and the host quits mid-game, the game will end for all players. Remember that this setting will change the performance of Age of Empires: Definitive Edition and may lower framerate if setting is higher than the recommended option. From the main menu, go to Options > Settings > Speed (far left). Check the box next to the desired Speed option. Check the box next to the desired Display Zoom option. As you pick a farther zoom setting the title will increase the number of assets on screen which can lead to performance problems. If you are experiencing issues related to Xbox Live or Windows 10, please visit the Xbox on Windows 10 support page. You can also head to our forums at forums.ageofempires.com to discuss your issue with other members of the community.